Hearing loss can happen at 85 dB. And gun reports, construction zones or constantly working around heavy machinery can have levels WAY above that. That's why these ear muffs shut down instantly when decibel levels exceed 85. When sound levels are lower, they operate normally, allowing you to hear even a regular conversation. So you protect your hearing while still listening to the range instructor's commands or your foreman telling you what a fine job you're doing. Hyskore Stereo Electronic Hearing Protector is rated 3.9 out of 5 by 17. Rated 1 out of 5 by Dennis from High hopes Only one of the speakers worked. Rated 5 out of 5 by Elmer from works very well Perched these to replace a different make that failed. These work very well and have a longer delay time when dampening the loud noise which I find very helpful. Also love the individual volume adjustments and the price can't be beat. Rated 5 out of 5 by Ralph from Very good price. I have had sever other hearing protectors, these are the best i have had. Not only do i use these for shooting but also when working with a chain-saw, works well for this also. Rated 1 out of 5 by BrianC from Didn't Work on Range At home when I was testing the product they worked just fine; I could hear my wife talk but if I clapped it would immediately cut out. When I went to the indoor range and fired a shot "BAM", no cut-out. Stepped outside to make sure everything was working, did a clap test, went back in to try again and "BAMMM". Took them off and used the rentals. Neat idea but they're going to be in hot water if they mess up someone's ears shipping defective product. Fortunately I was only using 9mm and was the first one on range. 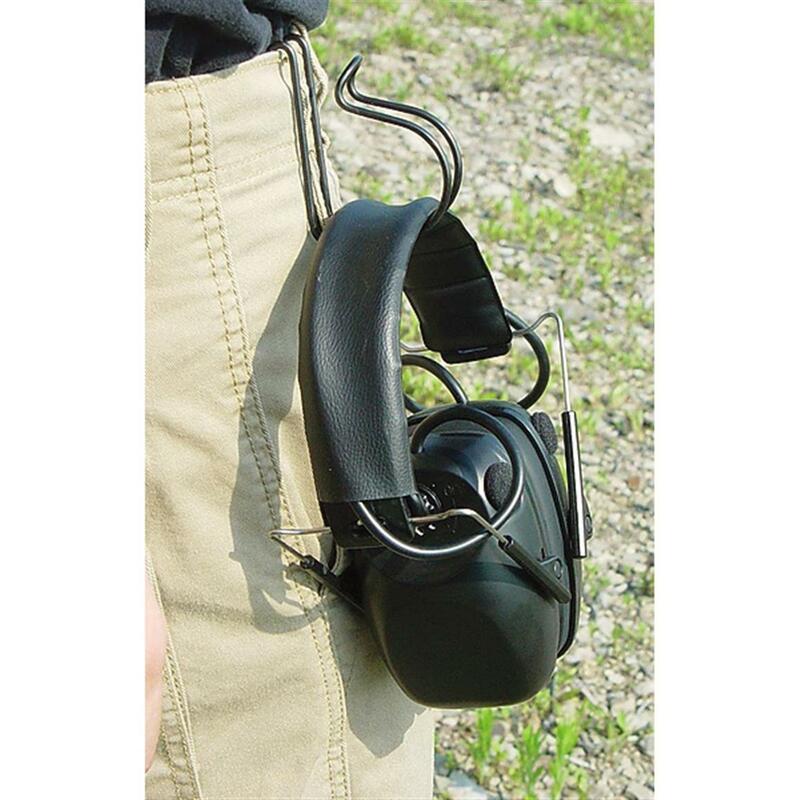 Rated 4 out of 5 by Larry from great price Easy to use and helps being able to hear others at the range without having to scream. Rated 5 out of 5 by Hambone from Don't let the low price fool you! These electronic hearing protectors do the same job as my $100.00 units as best as I can tell. They are well made, sturdy and functional. 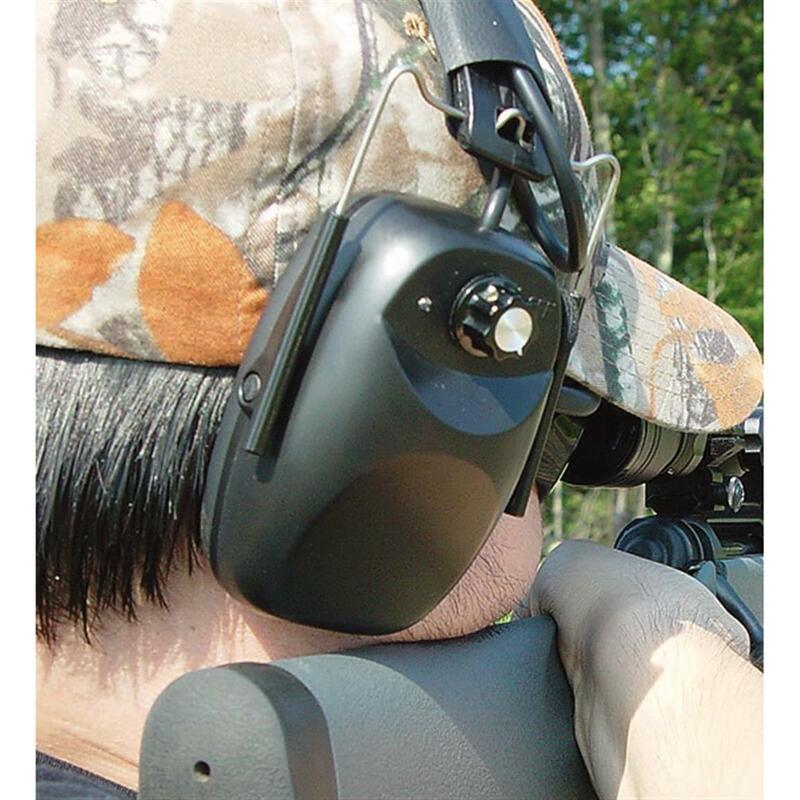 Hearing protection for the digital age.